Fadiman explores the beneficial uses of psychedelics, how to use them safely for spiritual, therapeutic or problem solving uses. Fadiman truly believes, and makes a compelling point, that becoming more aware of these drugs and the insights they can bring is one’s birthright. This book highlighted research that has been conducted and a wide array of experiences which indicate many positive effects if done in the right set and setting, with the appropriate dosage and a trusted and knowledgeable guide. 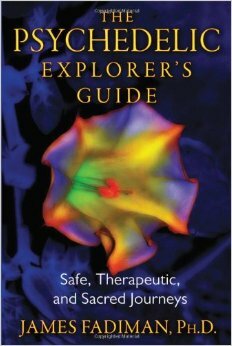 This was a world that I had no prior knowledge about so it was fascinating to learn a bit more about these type of experiences, its history, and some of the serious science behind these drugs. Clarify personal preconceptions about psychedelics, mystical experiences, cosmic consciousness, God, etc. This entry was posted in Books and tagged James Fadiman, Psychedelics on December 16, 2014 by Blas.